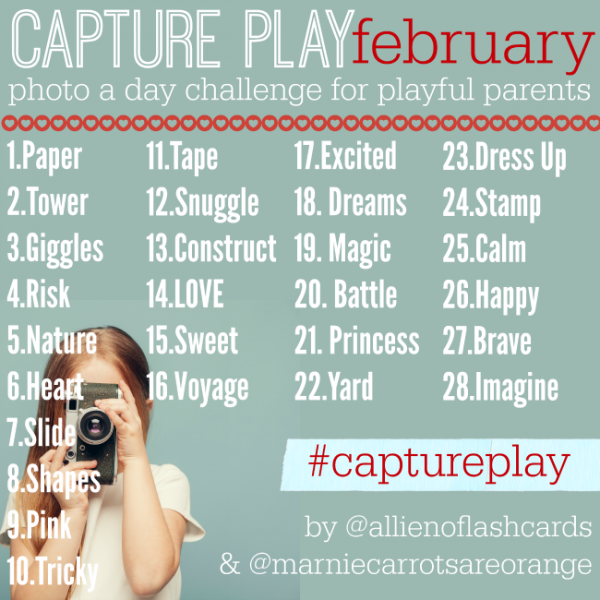 #Captureplay Photo Challenge For Playful Parents – February! 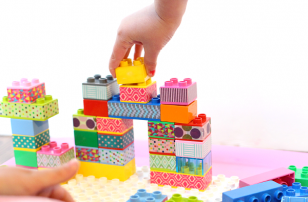 Have you joined in our #Captureplay photo challenge? January was a huge success and we saw almost 2000 photos tagged with #capture play in its first month. This month will be even better. 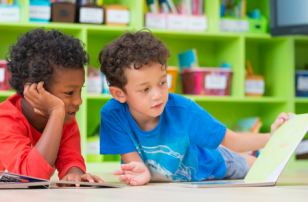 I asked my friend Marnie from Carrots Are Orange to join me as a host and help me encourage parents to make time to play every day with our one word prompts. Don’t worry if you miss a day or two ( I missed 3 when our house was hit with a bug) just join in when you can and make time for play. I will follow back anyone with a public account – and if you tag ma @allienoflashcards in your photo I will be sure to comment. Sometimes it takes a day or two but I LOVE seeing them all. 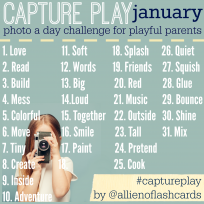 I loved joining in with #captureplay in January, even though we missed some days. 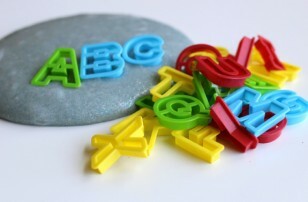 Looking forward to another fun month of capturing playful memories!